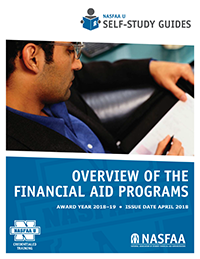 This guide introduces the federal student aid programs, providing information on the Title IV programs, state aid, the Health and Human Services (HHS) programs, and other sources of financial assistance. Know the definitions of financial need and Title IV academic year. Understand the role the expected family contribution (EFC) plays in determining eligibility for each grant. Understand the eligibility criteria for each program.